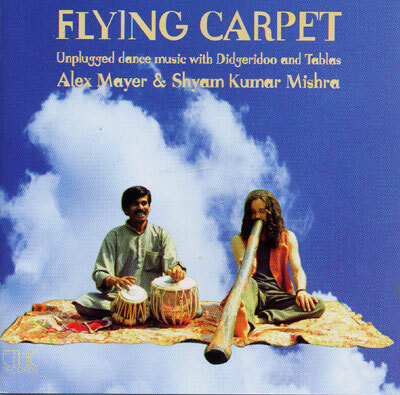 Unplugged dance music with didgeridoo and tablas. A unique recording of a live concert given by the two groovemasters. Shyam Kumar Mishra, one of India's leading tabla players, puts all his skill and enthusiasm into the music, demonstrating at the same time the manifold facets of his tablas. Alex Mayer, with his reputation as one of the nimblest and most accurate performers on the didgeridoo, pulsates at incredible speed with the ancient instrument of the Aborigines and shows remarkable endurance in these live pieces lasting up to 20 minutes each.